Jackie Bristow is pleased to announce she is returning home to New Zealand in May. Jackie is playing some of her favourite listening rooms around the country. The tour kicks off up north in Parua Bay May 11 and finishes up in the Deep South playing the Bluff Oyster Festival May 26. "I love playing intimate listening rooms, house concerts and festivals. I am excited to return to New Zealand to play some of my favourite concert venues. It’s always a buzz to come home and connect with friends and family. It fill's my heart." Jackie recently relocated to Nashville Tennessee. She writes, records and performs in Nashville when she’s home from the road. 2017 was another busy year for Jackie who regularly tours the USA. She is looking forward to getting back into the recording studio, after her New Zealand tour. She plans to start work on her 5th album for release in 2019. At once heartfelt and sophisticated, Jackie's songs combine subtle but beautiful melodies and hooks that hypnotise the listener, then stick around like the backbone of a real friend. 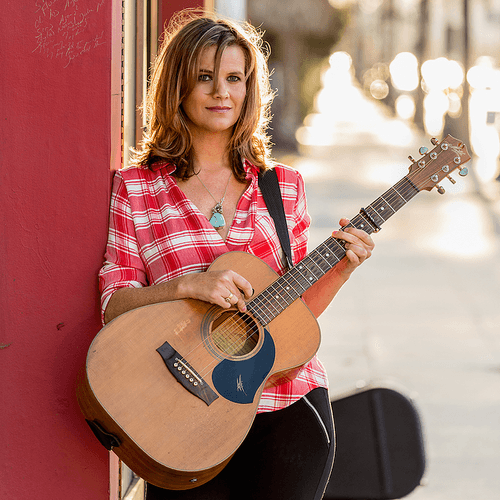 Jackie Bristow captivates audiences, with her soulful voice, well-crafted songs and natural live command. Jackie has star power. She exudes warmth and a commitment to her craft, which she has polished to gold in the many concert halls, festivals, and listening rooms she has played. Don't miss the opportunity to catch this beautiful Kiwi songbird in a town near you. Jackie Bristow May 2018 NZ Tour dates. "...in the moving 'Fallen Youth' she gives Emmylou Harris a real run for her money." - New Zealand Herald, Graham Reid.